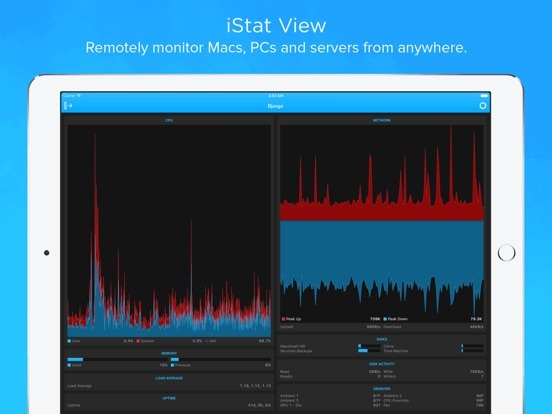 iStat View is a highly detailed remote monitoring app, letting you check the vital stats for Macs, PCs and servers from anywhere in the world. 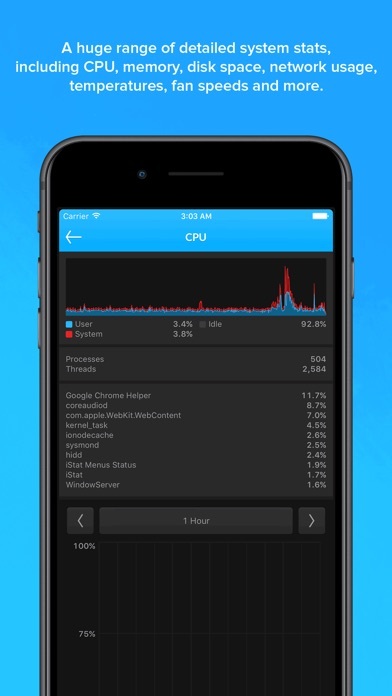 To get started, please install iStat View on your iOS device, and install iStat Server on the computer you would like to monitor. 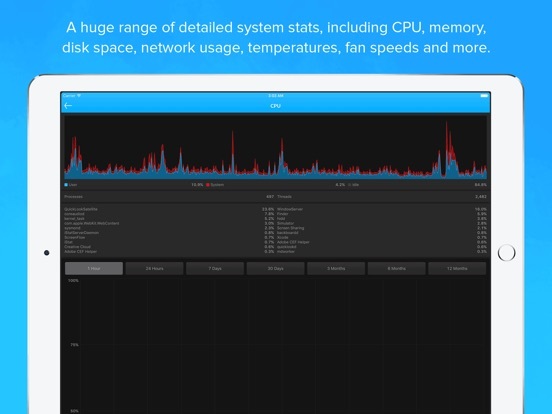 iStat View displays a huge range of detailed system stats, including CPU, memory, disk space, network usage, temperatures, fan speeds and more. 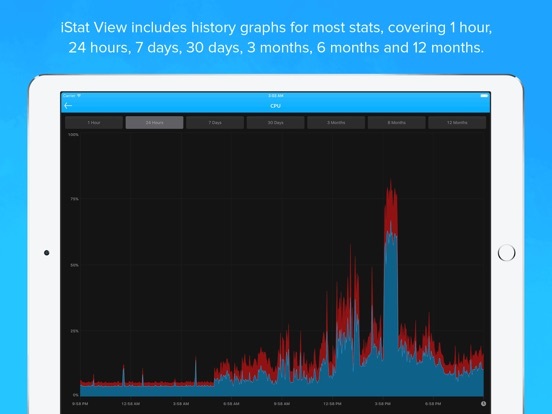 iStat View includes history graphs for most stats, covering 1 hour, 24 hours, 7 days, 30 days, 3 months, 6 months and 12 months. 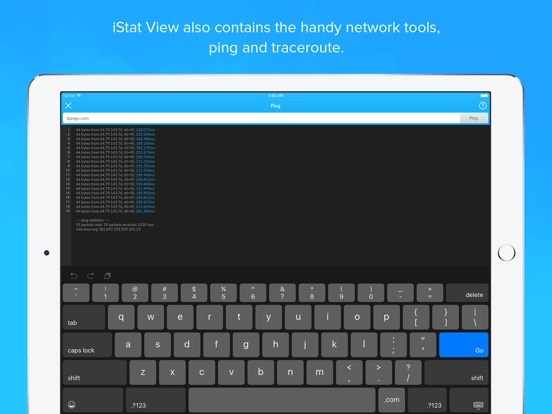 iStat View connects to iStat Server securely over the internet or via Bonjour. A password or five digit passcode can be used to restrict access. Authorization can be reset from the server side, if required. iStat View also contains the handy network tools, ping and traceroute. 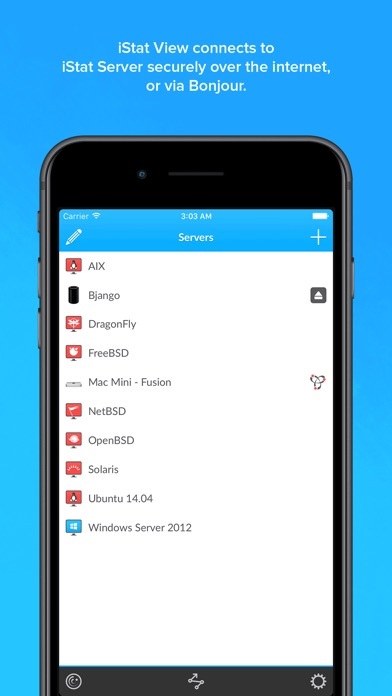 Effortlessly keep your list of servers in sync across your iOS devices and Macs. 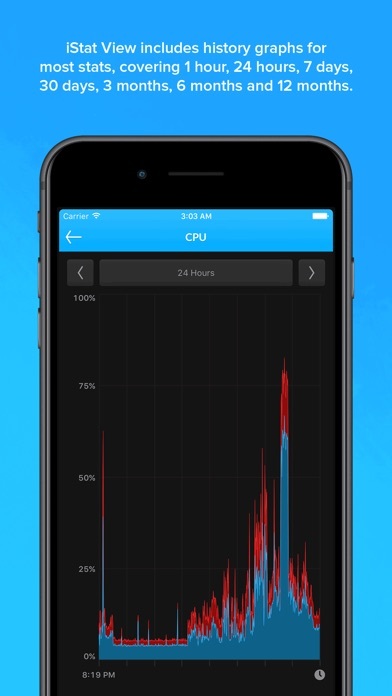 iStat View is available for iOS and macOS. 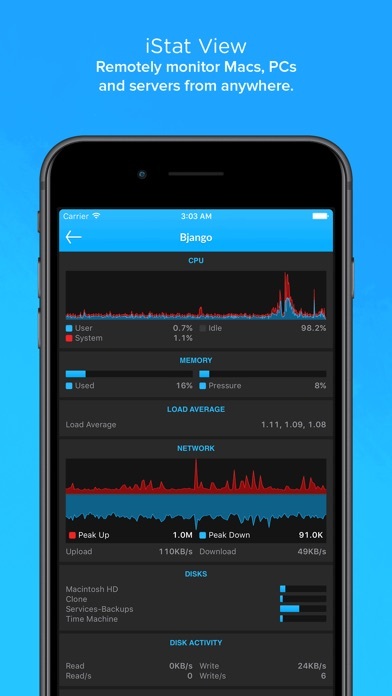 We’re @bjango on Twitter. Ask us questions or follow us for updates about our apps.